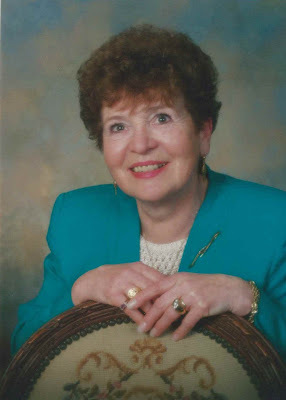 Loving wife, sister, mother, grandmother, and great-grandmother, Kunigunde (Gunde) A. (Friedl) Long, aged 87, of Shoreline, died peacefully on March 23, 2014. Gunde was born on July 15, 1926 in Oberalm, Austria to Aloisia Ludmilla Friedl and Anton Kaindl. She was the oldest of eight half-siblings, and spent her youth living with her mother and four of her siblings in Hallein, Austria. Gunde attended school in Hallein, living there before, during, and after World War II. Following the war, she worked for the American Constabulary Forces at Strub Kaserne outside Berchtesgaden, Germany where, on a New Year’s Eve blind date, she met the love of her life, Army Staff Sergeant Earl S. Long Jr. of Jefferson City, Missouri. They were married on November 24, 1948 in Salzburg, Austria and celebrated their 65th anniversary before Gunde died in 2014. Earl and Gunde made the army their career, serving for 22 years before Earl retired as a Major of Infantry in 1966. During his career they spent several tours in Germany, and at numerous posts throughout the US. Along the way, Gunde and Earl had two children – Ronald and Jeffery. Their last posting with the army was at Fort Lawton, in Seattle. They bought a house in the neighborhood just north of Seattle, now the city of Shoreline, which was their home for the next 50 years. After settling in Shoreline, Gunde spent many years working in dental offices, as both receptionist and chair side assistant. She was beloved by doctors and patients alike, and even after her retirement, was frequently requested as a fill-in for vacationing assistants, and those needing extended time away for various reasons. She made many lifelong friends among both coworkers and patients, and spent many of her free hours getting together, and keeping up with friends. She was also active for many years in the Continental and Austrian Clubs of Tacoma and Seattle, where she had the chance to spend time with fellow Austrians. She always baked wonderful Austrian cookies at Christmas time, and frequently cooked delicious Wiener Schnitzel, traditions carried on by her children and grandchildren. After she and Earl retired, they continued their travels throughout the US and world, frequently visiting family and friends in Europe, walking on the beaches in Hawaii, and visiting the distant countries of Egypt, New Zealand and Fiji. Gunde was survived by her husband Earl, her sisters Milla Stangassinger, Elli Kurz, Greti Kaindl, and brothers Toni Kaindl, Hansi Kaindl, and Erich Grabler – all living close to Salzburg, Austria; by her sons Ronald and Jeffery; their wives Heidi Bodding and Missy Long; grandchildren Nick (and wife Kelly), Lindsey (and husband Matt), Anneliese (and husband Tory), and Tristan; and great-grandchildren Connor and Aidan. Additionally, Gunde is survived by numerous nieces, nephews, and great-nieces and nephews. She is remembered fondly, and missed by all.